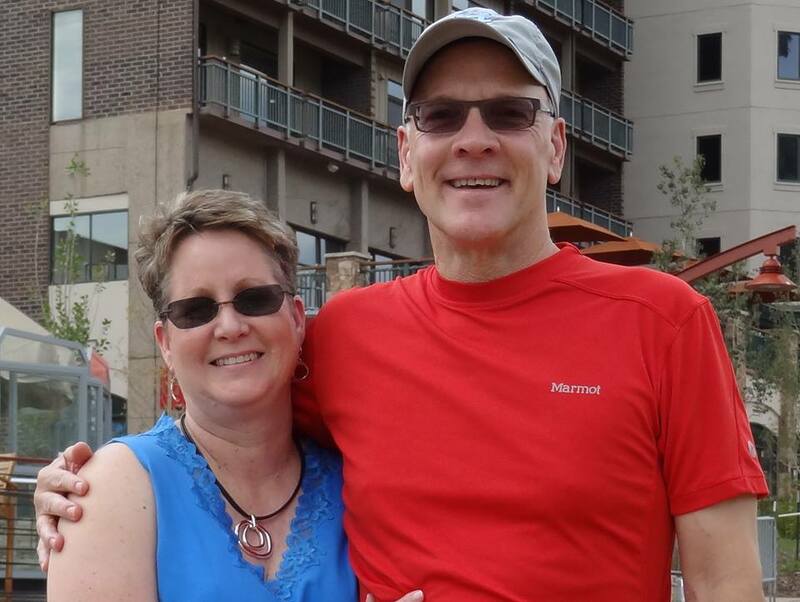 Joe and Shari Parks had the good fortune to be able to retire wherever they wanted. But they were very particular about the company they chose to build their house. They picked Living Stone Construction, largely on its reputation in Southcliff, the gated community in which they chose to build. Christine Dowd knew what she didn’t want in a house. She didn’t want what she had, which was a house she’d built whose finishes were so rough she ripped a sweater on a door frame. 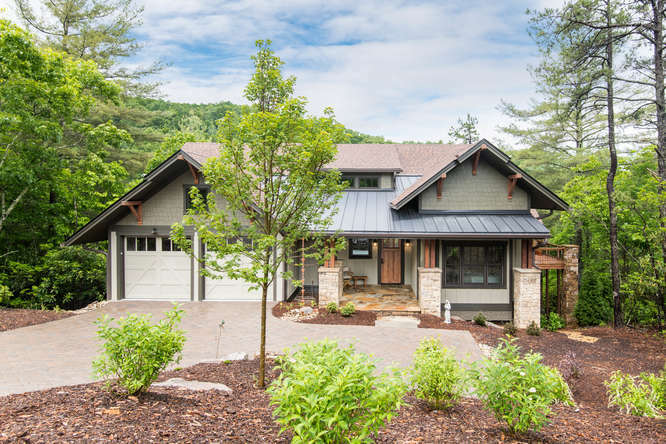 What she wanted was a beautiful new house in Thoms Estate, a north Asheville enclave of good taste and friendliness that had a couple of lots she liked. She was out there looking at them one day when a couple who lived beside one of the lots invited her in to look at the home that Living Stone Construction had built for them. Christine loved it (and she loved the couple). 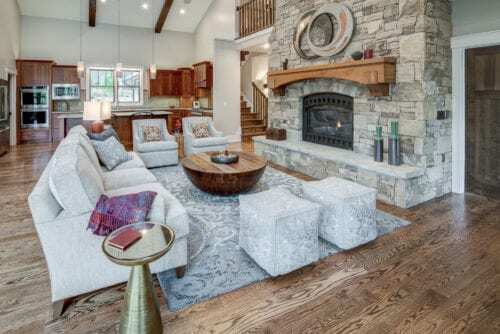 And so Christine, recently retired as a presenter for Apple, went to see Sean Sullivan at Living Stone Construction, a builder of green and energy-efficient homes whose work continues to win awards for design, function and price points. Sarah Watkins knew what kind of house she wanted to build. She just had to find the kind of builder who would love the challenge of creating it as much as she did. She and husband Casey found the builder they wanted in Living Stone Construction and its president, Sean Sullivan. 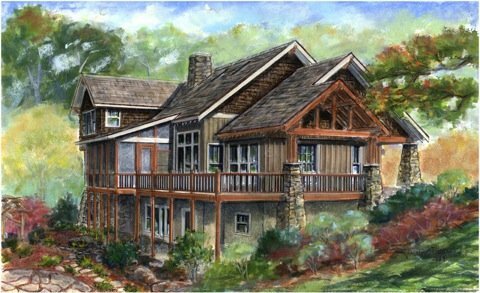 Sarah had spent a year and a half putting her family home near Asheville together in her mind. Picking up just about every architectural magazine available, she knew enough about what she wanted that she sketched it all out. She knew the textures, finishes and ambience she wanted in the home. She and Casey visited several builders in the Asheville area. Living Stone was among the last they visited, and they were immediately impressed by the company’s approach, plan and thoughtfulness. They liked that Sean took them to Living Stone job sites to see not only the houses under construction but also the process by which Living Stone built them. They liked that the owners loved the homes Living Stone had built for them. 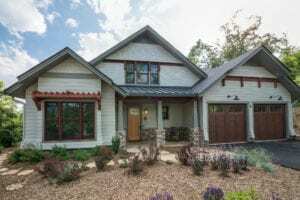 Mountain Rustic Modern Home – Award Winner! To look at Peggy and Bill Scheu’s house, you’d think it was brand new. 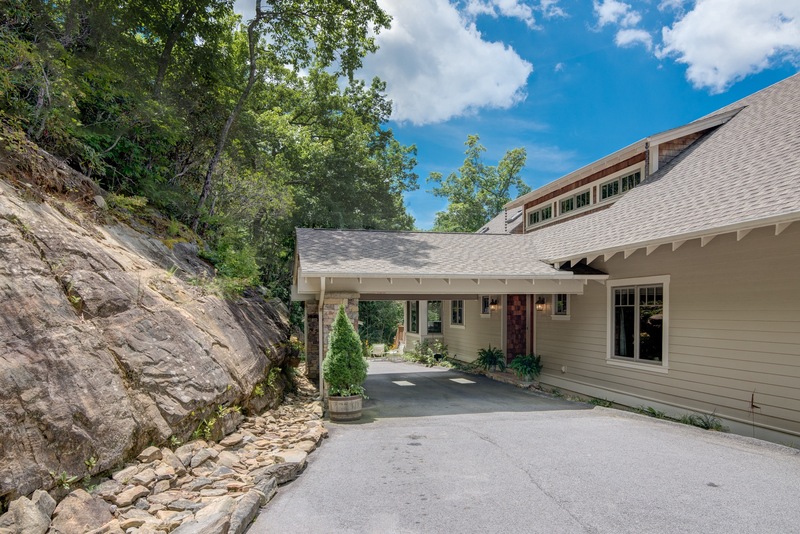 But it’s not, and the Scheus credit its handsomeness to the skill and materials that Living Stone Construction used when it built their Montreat residence over nine years ago. Today, the house is as durable as it is beautiful. “The quality of the work is just superb,” Bill said. With seven grandchildren and a growing family, Bill and Peggy Scheu (pronounced “Shy”) built the home with elegant endurance in mind. Working with Living Stone President Sean Sullivan, Peggy and Bill chose finish materials and a style of home that could stand up to the rambunctious family gatherings that happen especially during summer, Thanksgiving and Christmas. Living Stone Construction homeowners Jim and Susan Jones fell in love with Asheville years ago while visiting their daughter, a student at UNC Asheville. The Joneses were living in Greensboro at the time, where Jim had a Chevrolet dealership. He was developing a luxury apartment community there when he and Susan decided to move to the mountains in 2010.